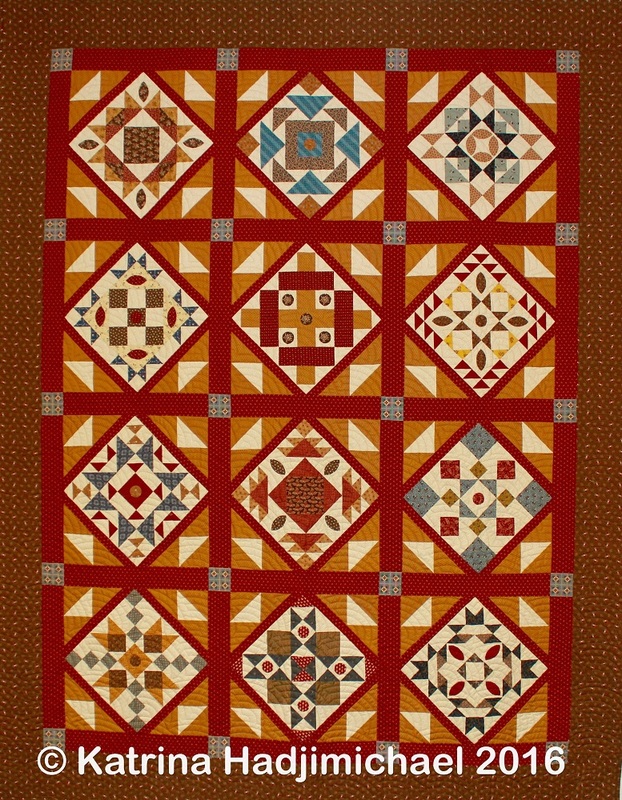 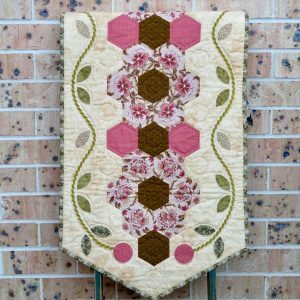 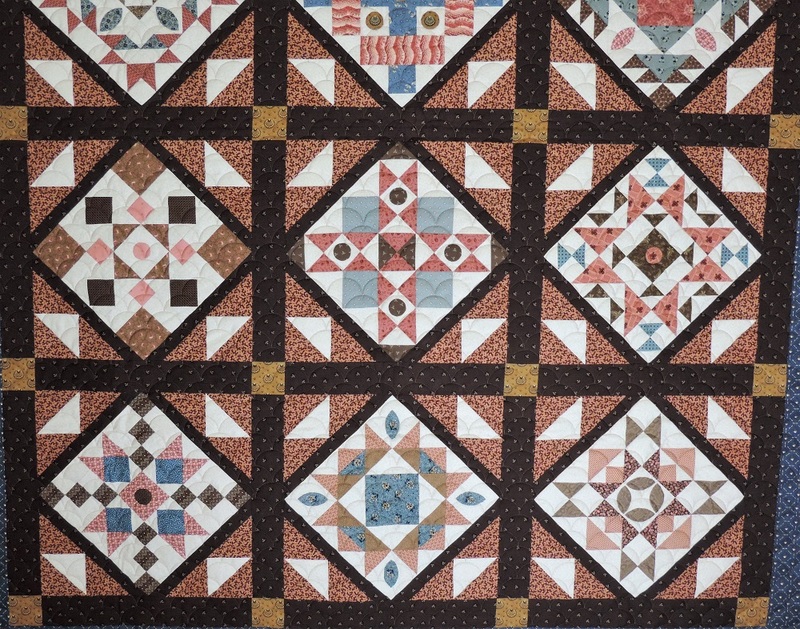 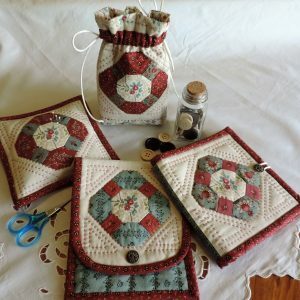 This is an exciting sampler quilt to make featuring twelve different machine pieced 12″ blocks with the option of hand applique embellishments. 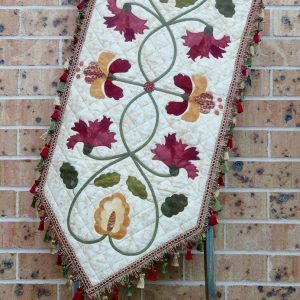 Have fun with different combinations of fabrics and colours to create a beautiful quilt for your bed. 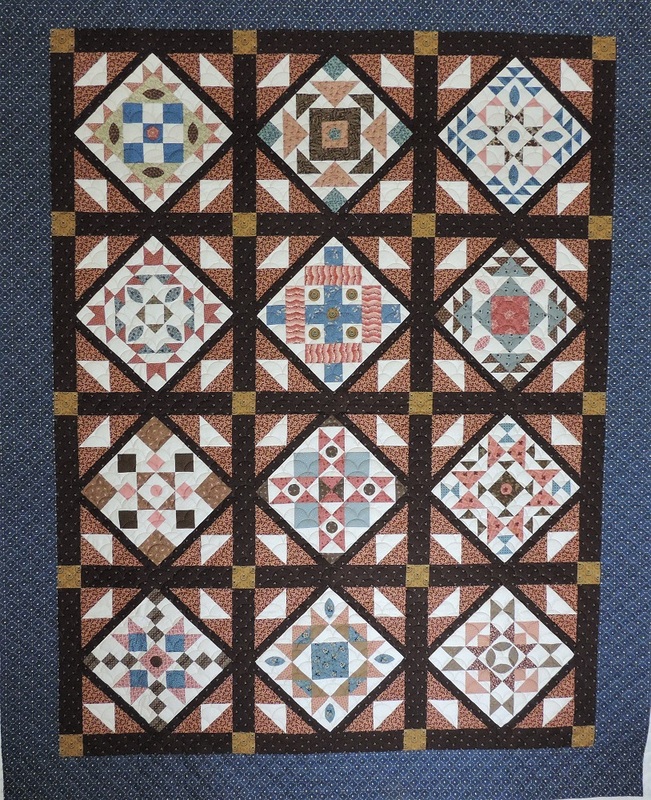 The pattern includes comprehensive photographs, diagrams and instructions to help you perfect your machine piecing skills. 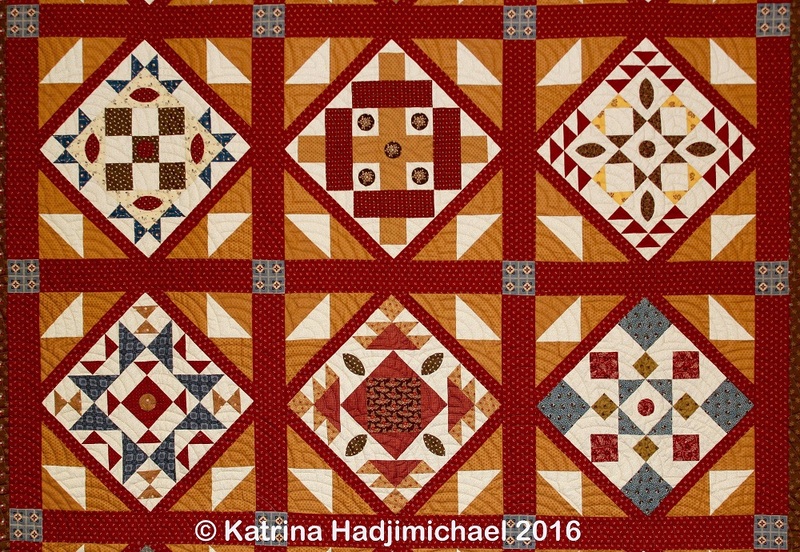 I have made the quilt in two completely different colourways to show the versatility of the design: a red and gold version and a pink and blue version. 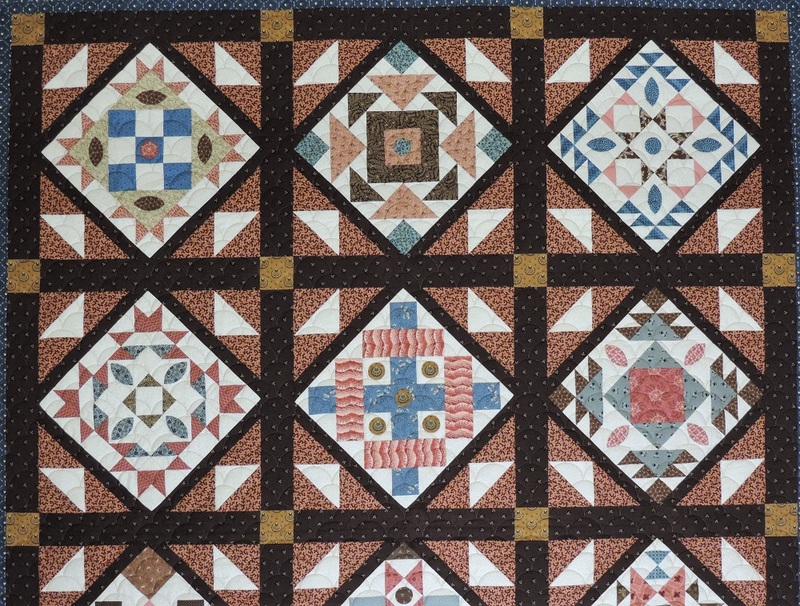 I hope you will enjoy making this quilt. 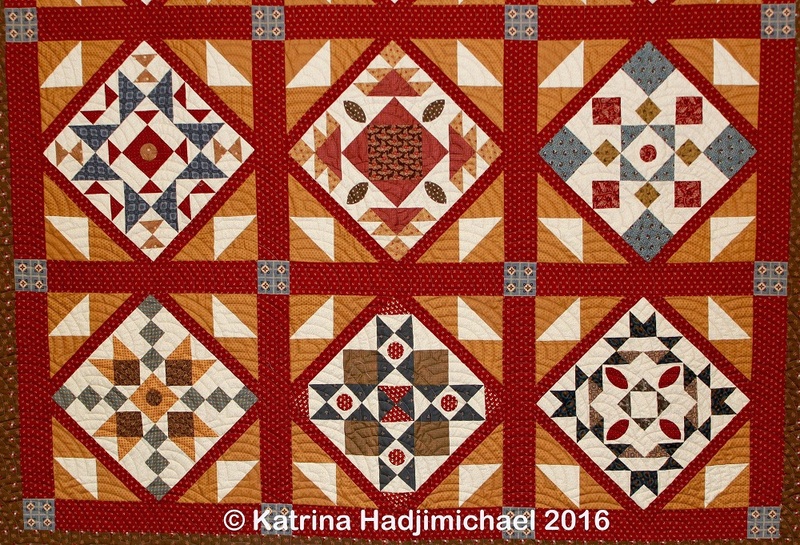 This comprehensive 50 page pattern is available in a downloadable pdf format only. 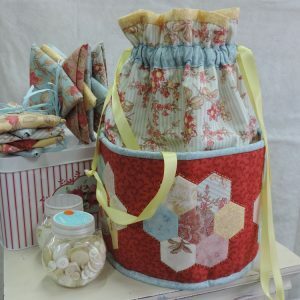 Once payment is made, you will receive a link to download the full pattern.